If you’re on the lookout for an alternative to one of the big German brands in the executive saloon sector, the Jaguar XE Saloon is fun to drive, pleasing to look at, and doesn’t cost much to run. 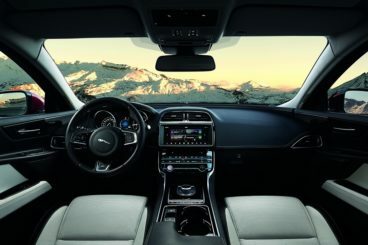 Naturally, the Jaguar has got a lot to do if it’s to convince buyers to shift their attention from the BMW’s, Mercedes and Audi’s of this world. But it’s always a good idea to remind yourself of the values and heritage that this prestigious brand possesses. 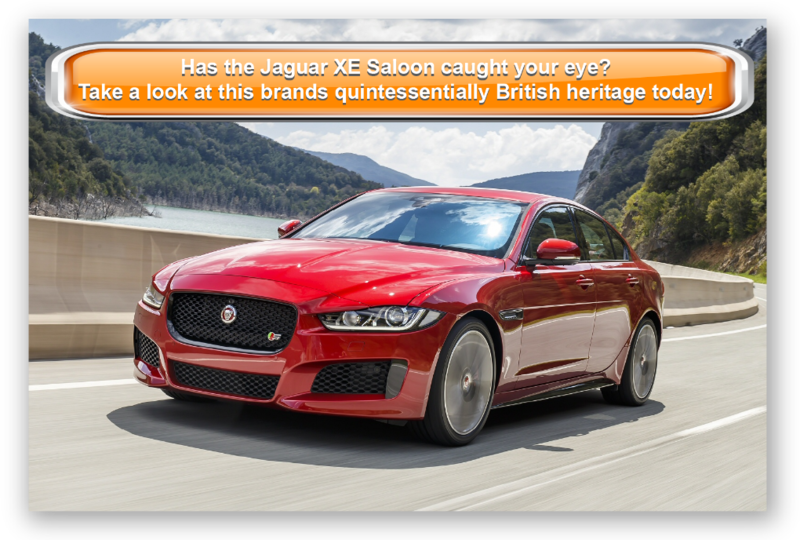 Jaguar stands for quality, reliability, and desirability, three traits which it has invested in its latest XE. OSV investigates whether the car is as world-class as some critics have suggested with our Jaguar XE Saloon review. The BMW 3 Series is the benchmark against which all pretenders are judged when it comes to drivability in the compact executive saloon sector, and the new XE comes out of its face-off with the ultimate driving machine very well. Thanks to a bit of engineering wizardry, the car is both comfortable and fun – not something you can say about most cars in this class, which are either one or the other, but very rarely both. The steering reacts quickly to your inputs, although it isn’t as sharp as the 3 Series. You get to choose between either a 6-speed manual ‘box or an 8-speed automatic, with OSV preferring the latter thanks to its ease of use. You can also add four-wheel-drive to specific models, but we’re not sure there is much of a point. 4WD will drive up the listing price and overall running costs, but the truth is that you won’t notice all that much of a difference. Power is only sent to the front whenever you’re losing grip at the rear – which won’t be all that often. In terms of the engines, a 2.0-litre diesel unit kicks things off. It’s available in two power guises, with the less powerful of the two able to complete the 0-62mph dash in 8.4 seconds. Opt for the 178bhp variant, and you can improve this time to 7.8 seconds, which sounds very appealing. There is also a trio of petrol engines available, but unlike the diesel’s you can’t hook them up with the manual gearbox. They offer plenty of pace and performance, however, with the entry-level 2.0-litre 197bhp able to get you from a standstill to 62mph in just 7.7 seconds. The quickest in the range is a supercharge 3.0-litre V6 unit, which dusts off the 0-62mph sprint in a matter of 5.1 seconds, before maxing out at 155mph. However, it lacks a bit of shove and glides more than powers its way up a straight line. What we really admire about this car’s interior is its very British sense of occasion. Its design is both dramatic and stylish, while distinctive features such as a rotary automatic gear selector mark it out as something a bit different from the competition. The driver-oriented wraparound dash is a highlight, while the front seats cocoon you in the car to enhance the racy feel. The seats are adjustable, and you get to close from an array of upholstery options depending on the trim level you’re looking at. The centre console is a bit too wide for our liking and can feel slightly overwhelming, but we enjoyed the blue ambient lighting that gives the cabin a touch of class. The car gets an 8” touchscreen that is clearly and easy to operate, but there are a couple of flaws, including a low-mounted driver’s side-air vent which blows air onto your hand! The car doesn’t major on practicality, but few cars in this sector do. In that respect, what the XE can offer you in this area is pretty much what every other car can offer you. This means you get a decent amount of space up front, but less space in the rear. Moreover, a wide tunnel will dampen the spirits of anyone sat in the middle, while taller adults will find things are a bit of a strain on longer journeys. Visibility is a bit of a concern, thanks to unusually thick windscreen pillars, but storage space is reasonable. Each door comes with a decently sized pocket, while two cup holders and a fairly big storage box ensure things won’t get too messy. Meanwhile, the boot is sized a 455-litres. If you snap up the optional spare wheel, you lose five-litres of boot space, which is not exactly significant. Prices for the new car start out from £27,000 and rise to almost £45,000. If you want to lease the car, you can pick up a deal from as little as £235 + VAT per month. For more information, you can check out OSV’s leasing deals here. Experts predict that this car is going to hold onto its purchase price after three years better than many of its rivals, including the BMW 3 Series and the Merc C-Class. It’s also cheap to run, with the cheapest engine in the range capable of returning fuel economy of 74.3mpg. Running costs are good across the diesel range, with a 2.0-litre 178bhp diesel good for 67.3mpg. However, running costs do rise sharply when you check out the petrol units. The 2.0-litre 197bhp, for example, can only achieve average returns of 37.7mpg. The 3 Series is still the best car to drive in this class, but the Jaguar is comfortably in second place. It’s dynamic, agile and always firmly planted. You’d have to do a lot of searching to find a large saloon that can achieve better running costs than the XE’s diesel range. 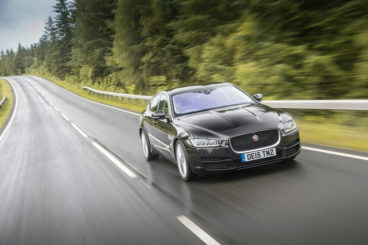 Jaguar have pulled off a great trick in making this car both fun to drive and comfortable. Okay, fair enough there is a 99g/km of CO2 in the range. It’s a headline-grabber. But the truth is that it isn’t the best engine to drive in the class – far from it. Offering less than 500-litres of space means that the XE Saloon cannot compete with some of its main rivals when it comes to practicality. Moreover, there is no estate version offered. 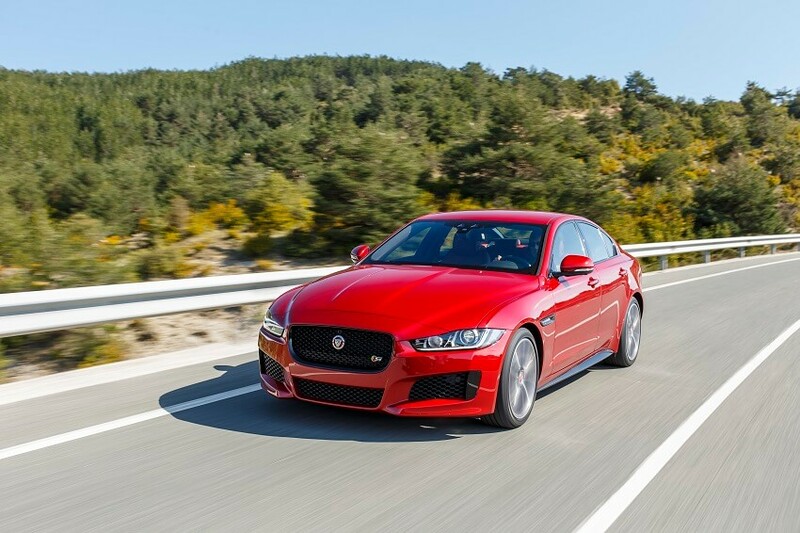 Let’s see how the Jaguar measures up against its closest rivals in the comparison section of our Jaguar XE Saloon review. 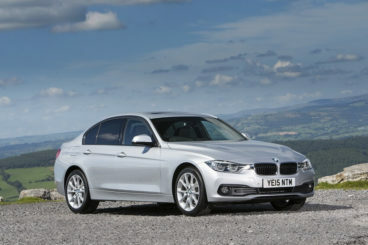 The new BMW 3 Series is, according to many, the bastion of the executive saloon. All other’s are mere pretenders. But how true really is this? There is no doubt that the new 3 Series Saloon is the most entertaining car to drive in this sector. It has a firm suspension setup, plenty of grip, and the steering is well weighted. As such, it’s got all the ingredients to offer you a joyous driving experience. However, we feel that the suspension is overly firm, and unless you specify the optional adaptive dampers, you’re probably not going to enjoy this car as much as you really should (and can). In terms of the engines, even the entry level units are keen performers, with the small 1.5-litre three-pot petrol able to cover the 0-62mph dash in a reasonable 8.9 seconds. You will have to work it fairly hard, but it’s nicely refined. The 330i is your best bet if you want more pace and power, and it can cover the same distance in just 5.9 seconds. There is also a high-performance M3 model on offer, as well as a sprightly hybrid and a collection of diesel’s that are almost as quick as the petrol engines. Like the Jaguar, the BMW 3 Series Saloon has a high listing price, but if you’re prepared to stump up the cash, you’ll be rewarded with low running costs. The diesels naturally grab all the headlines and are able to return over 50mpg, but you also shouldn’t discount the petrol engines if fuel economy is your priority; all of them are turbocharged, which results in the 318i is able to achieve returns of 51.4mpg while emitting just 129g/km of CO2. The interior is made of high-quality materials, and the fit and finish are faultless. Moreover, the design is smart, and the layout is logical and easy on the eye. The driver-oriented wraparound dash is contemporary and befitting of this car’s sporty nature, and the dials are all easy to read. The car, however, does not major on practicality and if this is among your main priorities, it’s better that you look elsewhere. It has a smaller interior than many of its rivals in this sector – despite being the biggest 3 Series yet. Things are good upfront, though. The driver and their passenger get plenty of head, leg and shoulder room, and the driver’s seat is fully adjustable. There are also a number of storage spaces dotted around the cabin, including a huge glovebox, and visibility is good. The boot, meanwhile, is bigger than the XE’s and measures 480-litres. The new Mercedes C-Class Saloon is one of the most luxurious and comfortable cars in this sector. But not only does it let you travel in style, but it also makes sure you don’t spend too much cash running your executive saloon. The Mercedes engineers have finessed this new car so that it weighs 100kg less than its predecessor. This benefits you by virtue of the fact that it’s more enjoyable to drive, and a lot more agile – especially in bends. Ride quality is overall decent, but how good it really depends on which suspension setup your chosen model has. Air suspension is available as an optional extra for £900, and it works very well. There isn’t much to separate the petrol engines in terms of performance. The entry-level C200 model covers the 0-62mph sprint in 7.5 seconds but can go even quicker if you pair it up with the 7-speed automatic ‘box. There is also a hybrid model available, which can get you from a standstill to 62mph in just 5.9 seconds. The diesel engines are also quick and performative, but the 2.1-litre unit is rather noisy. 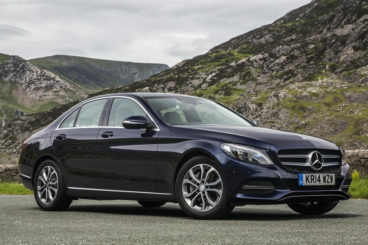 Fuel economy is 20% better than last time around, with the C220d able to achieve very impressive returns of 70.6mpg. The C250 is a better option if you want more fun, and yet it’s still capable of returning 65.7mpg. The interior is easily one of this car’s strengths, and standard equipment is very generous. The diesel engines are a bit noisy, but the petrol’s ensure a quiet driving experience. Getting comfortable is easy for the driver thanks to an adjustable seat and steering wheel, while the plush dashboard is brimming with quality. Attention to detail is easy to see, while the controls are all within reach and user-friendly. The car is also practical. It’s longer and wider than last time around, which means interior space is better. Rear seat adults that are not too tall will be comfortable enough, but a sloping roofline is going to impinge on taller adults’ headroom. Visibility is aided by a reversing camera that is standard across the whole range, while the boot measures 480-litres. If you cast a too-critical eye over the new XE Saloon, you might start to think that this car just isn’t up to scratch. But if you can forget about being objective for a moment you’ll see that this is a car that feels right. It feels quite excellent, in fact. Gorgeous, comfortable and a thrill to drive, the new Jaguar XE Saloon is a contender for compact executive car of the year – a testimonial if ever we’ve seen one.